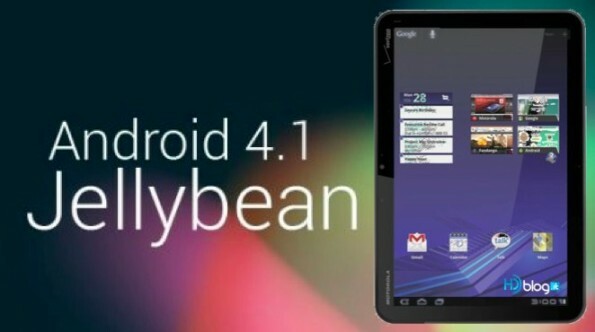 A few days ago we knew that the Motorola (now acquired by Google) were preparing the update for the Motorola Xoom Jelly Bean, but still in beta period so only it could access the beta testers. However it seems that the version is ready and has already been released for the enjoyment of users of the manufacturer. Motorola has always made things right about this, first created the Motorola Xoom is a great device to match the Samsung Galaxy tablets and especially on the issue of updates, that contrary to Samsung for example, still This update their devices to Ice Cream Sandwich, the manufacturer upgraded shortly to Ice Cream Sandwich Honeycomb and now makes Jelly Bean, showing that even if two cores in good tablet specs do not have to do to stop supporting the new versions, especially if you use a very heavy and intrusive interface. Obviously it must be said that as much as Google to try to strive to separate it from Motorola is true that after your purchase from the manufacturer at the hands of the famous search engine motorola have direct hand in the issue of Android updates and products like Google Nexus will always have more privileges for newer updates. This is no excuse for other manufacturers, since as we have spoken many times the step of updating a device from a previous version a new more expensive are not like us to believe, and especially you do not need the device landscape more Android pointer to do so, as we shows that Motorola Xoom is already a years old, but thanks to these things is getting younger with each update. So if you’re a user of Motorola Xoom probably notice you have left to update and you’re enjoying the fluidity and speed of “Project butter”, the new Google Android Now and the fantastic control system notifications that Google has prepared us in this latest version, and if you have not, you have two options: you can wait a little longer then it should not take too much or try to force the update from “system update” in “Settings” and “information system” . 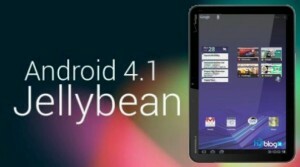 We are very happy with Jelly Bean, I think if Ice Cream Sandwich has been a revolution, with Jelly Bean has been fully optimized, and especially emphasize the importance of it can be done in mid-range phones, which typically are the most common between people and to help anyone with a terminal average to enjoy a full Android experience.